Below are the items you have requested. You can adjust the quantity of any item or remove it from the request. If the items below look "cut off", please swipe left and right to view more. Please fill out the information below and choose a date for which you are requesting the items. Please be aware, this is not a hold or reservation, but a request for information and availability. Final pricing, taxes, fees, items and quantities may vary. Please enter a Delivery Zip. this is not a hold or reservation, but a request for information and availability. Final pricing, taxes, fees, items and quantities may vary. 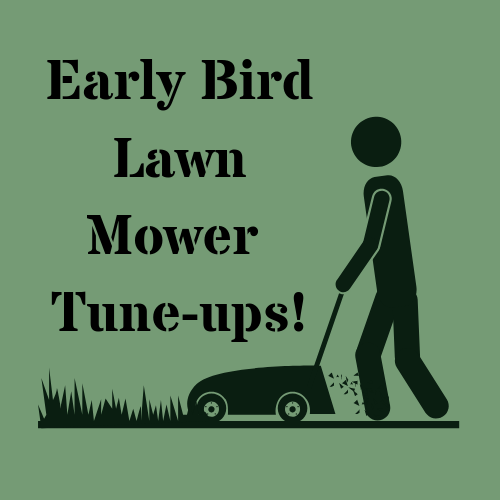 Early Bird Lawn Mower Tune-ups available from $44.95 Get Spring Ready! Not valid with any other discounts or sales.